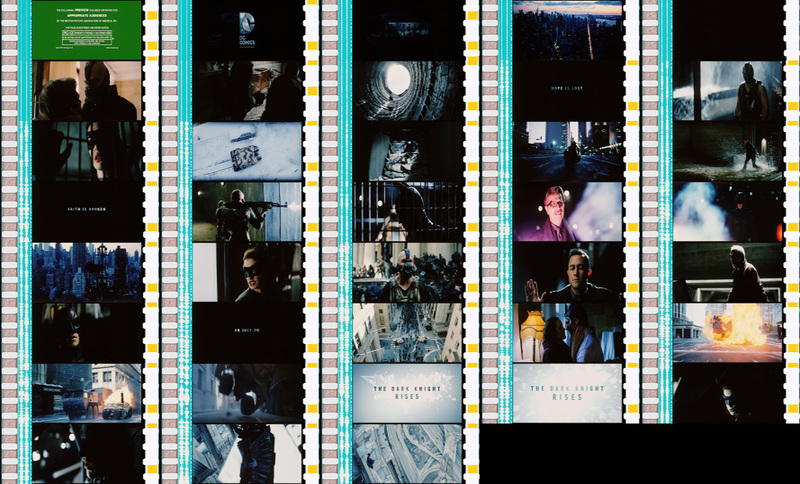 With The Dark Knight Rises release fast approaching, Warner Bros. has launched their latest bit of buzz-driving viral marketing by teasing a brand-new trailer for the July release. But in order to see that trailer, Bat-fans must first "help" the Gotham City Police Department "find" Batman by tracking hundreds of pieces of Bat-graffiti strategically placed around the world; for each bit of graffiti located and tagged via social media, Warner Bros. will unveil the new trailer one frame at a time. Graffiti: it's not just for Oscar-nominees anymore! 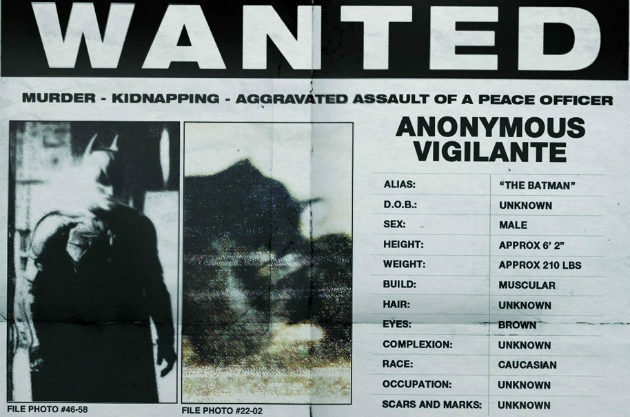 Tucked away in a dossier containing Batman's GCPD criminal file (posted to TheDarkKnightRises.com) are documents detailing where Batman stands following the events of The Dark Knight: Namely, at the top of the city's hit list, having taken the rap for murder, kidnapping, and aggravated assault. In a viral call to action cleverly disguised as a police memo, "officers" (that's you, Bat-fans) are directed to find pieces of pro-Batman graffiti stenciled across Gotham City (that's every box office-targeted metropolis, right?) in an effort to stamp out grassroots support for the caped crusader. "Officers should also be directed to report any and all information pertaining to the investigation to the designated contact (#tdkr07202012 or tdkr07202012@gothampolicedepartment.com). This includes submitting photographic evidence of graffiti related to any movement in support of the vigilante’s return so we can suppress it before it becomes a problem. Officers should make sure that location services or store location is on in their camera settings." I'm sure Warner Bros. doesn't endorse graffiti -- except in bat form, and leading up to July 20, 2012, and in chalk, of course. And it's a brilliant way to get fans in a tizzy over seeing a trailer ONE FREAKING FRAME AT A TIME. But isn't this guy who shaved the Bat-signal into his facial hair (via Reddit) just as effective a piece of viral marketing? Move over, Movember! It's time for... Bat-stache-uly? "fun". Can't folks just go to IMDB and ask Adam West's people for hints? I still say it's going to be a massive disappointment. Largely because expectations are too high. And doing things like releasing the trailer ONE. FRAME. AT. A. TIME. isn't going to temper expectations any. Mark my words. The movie will come out. It will be "okay" to "pretty good" and within seconds those who were moments before declaring Nolan a god will start jumping on the "OMG HACK!" bandwagon because the movie didn't pleasure them orally. It'll be just like Super 8 only fueled by fanboys. You would be a horrible marketing guy homeboy. Advertising is SUPPOSED to raise expectations. Stating this movie will be disappointing because of high expectation is just stupid anyway. The best you got is that Bane's voice was hard to understand, but that was fixed. The new footage is supposed to be awesome. Nolan has a good track record. The cast is fantastic. This movie will have to try pretty hard to be disappointing. It could happen though I guess. bat-usi, and it would still break records. Whatˇ¦s Going down i am new to this, I stumbled upon this I’ve discovered It absolutely useful and it has helped me out loads. I’m hoping to contribute & assist different customers like its aided me. Great job.